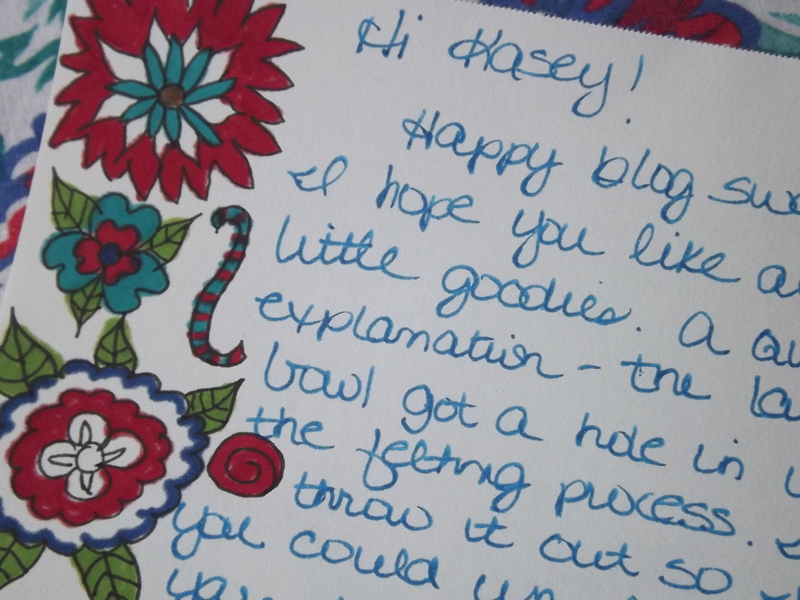 Somewhere around a month ago, I signed up for a blog swap through Sweet Potato Claire. Turns out, so did a lot of bloggers! I’ve been thinking and planning and working on my own blog swap package, which will, undoubtedly, go out at the absolute last minute. However, the blogger who was given my name was much more on the ball. 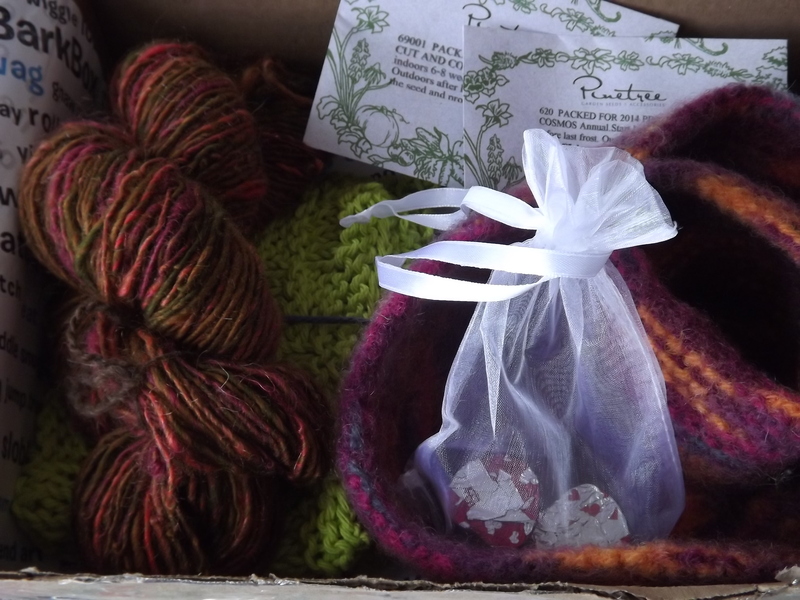 Donna, at Knit1Spin2 sent me a lovely box and the sweetest note. 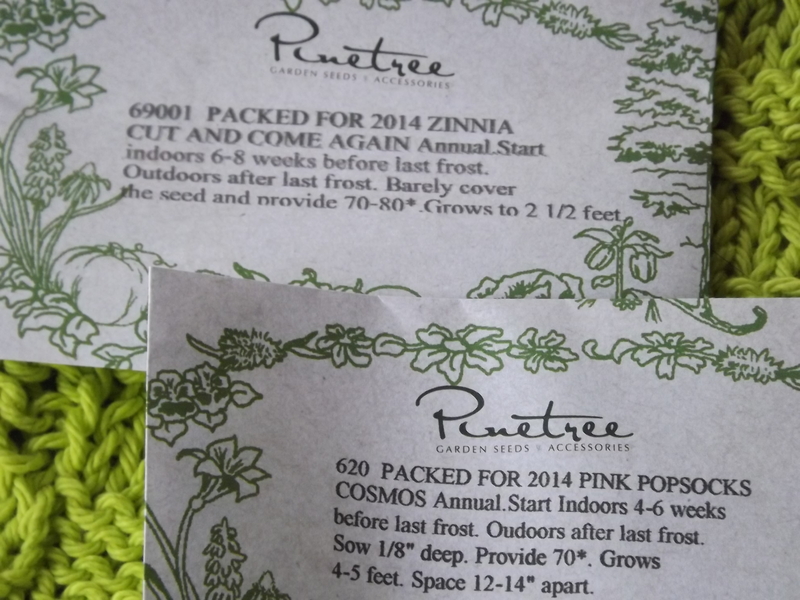 She enclosed a little baggie of Dove dark chocolates (promptly commandeered by my offspring), two bright, beautiful felted bowls, a handknit wash/dishcloth in a bright and cheery shade of green, two packets of flower seeds (from MAINE company Pinetree Seeds, and one of them my FAVE zinnias!) 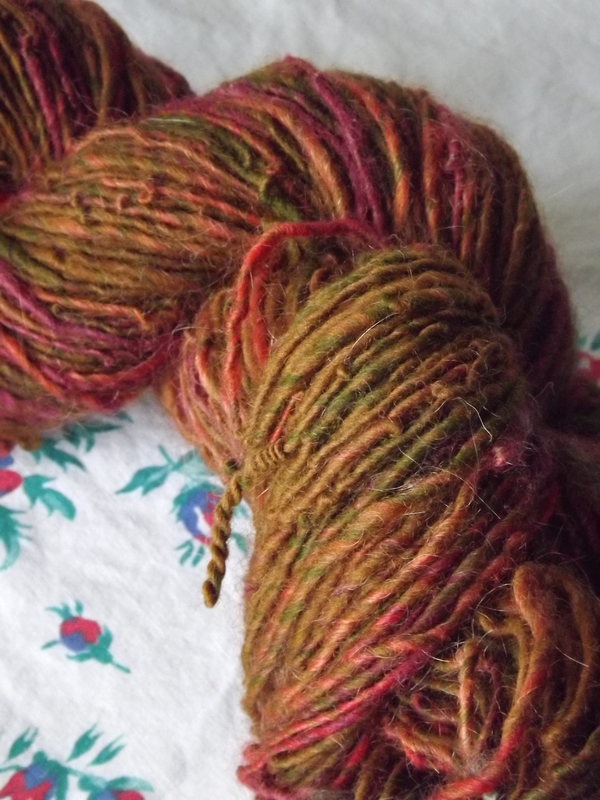 and a skein of handspun mohair blend in “my” colors (i.e., the ones that look nice on me). Yay! I’m so glad you liked everything. I figured the boys would love chocolates. I was keeping my fingers crossed that those yarn colors would work for you. I’m glad you took some pictures. I totally forgot to do it! I’m so glad I participated in the swap and added some more blogging friends. Enjoy! what a beautiful and thoughtful package! nice work, Donna!! that yarn is gorgeous. I’ll squeak it out by tomorrow, I think! The yarn is gorgeous and has a nice feel. Donna did a great job! I’ve enjoyed the swap so much–the brainstorming and research, the anticipation, the making–and so many friends and colleagues have commented what a great idea it is. I’m trying to figure out how to do it again–soon! so glad you’ve enjoyed it. I plan to host another in a few months’ time, probably mid-summer. but by all means the more often the merrier! I host swaps at home fairly regularly, and they are tons of fun- have you thought about trying that out? I live in a place where there just aren’t enough people in a close enough geographic area to make that work, I fear. But I’ll keep an eye out for your next swap (PS–I did get my box out today, before the deadline 😉 ). I just dropped by from Donna’s page. I love the color of the yarn she sent to you! Gorgeous! It was a fun swap wasn’t it? I really enjoyed it! I’d love to do another–and soon!